Beloved father and grandfather Basil Johnston passed away in Wiarton, Ontario on Tuesday, September 8, 2015 at the age of 86 years. He will lovingly be remembered and inspired by his children Miriam (Edward), Tibby (Rico) and Geoffery (Sandra). His grandsons Joel, Jason, David and Aaron were very proud of their Poppa and will miss him very much. Basil was a remarkable man who led a remarkable life. Basil is a proud member of the Chippewas of Nawash First Nation. Born on the Parry Island First Nation, Basil was raised on Neyaashiinigmiing (Cape Croker) First Nation. He was sent to Spanish Residential School at the age of 8. Following Spanish, he graduated from Loyola (Concordia) University in Montreal. In 1959, he married his beloved and beautiful wife Lucie Desroches. Basil taught history and geography at Earl Haig Secondary School in North York until 1970. From 1970 until his retirement, Basil worked at the Royal Ontario Museum (ROM). It was there that he began his writing career. Basil Johnston was very proud of his Anishnawbe culture and it became his lifelong passion to share this beautiful culture and stories of the Anishnawbe people's with the rest of the world. He was one of the first First Nations authors in Canada and wrote over 18 books starting with Ojibway Heritage and including Ojibway Ceremonies, Indian School Days, Honour Mother Earth and Think Indian just to name a few. He was proud of the Anishnawbe language and wanted to share the language with others so that the language could live on. He wrote an Anishnawbe lexicon, thesaurus, and recorded the language and it's translation on CD. 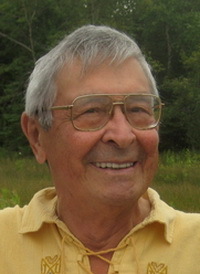 Basil Johnston believed in the importance of education and is very proud that his books are studied by elementary and post-secondary students. Basil received numerous honors throughout his life including: National Aboriginal Achievement Award; Order of Ontario; Queen's Jubilee medal; honorary doctorate University of Toronto; honourary doctorate, Laurentian University just to name a few. Basil had a strong work ethic and continued to write and work every day after he retired. In 2009 and 2010, basil was the visiting Professor of Education at Brandon University in Manitoba where he shared his passion for Education and Anishnawbe culture. Basil's other passions included fiddle music and baked beans. He played the fiddle every day and continued to cook baked beans until just recently (unfortunately he did not pass along his love of baked beans to his grandsons). Basil Johnston has left a rich legacy that honours First Nations people's. It will endure. For this we are grateful. Meegwetch Basil.